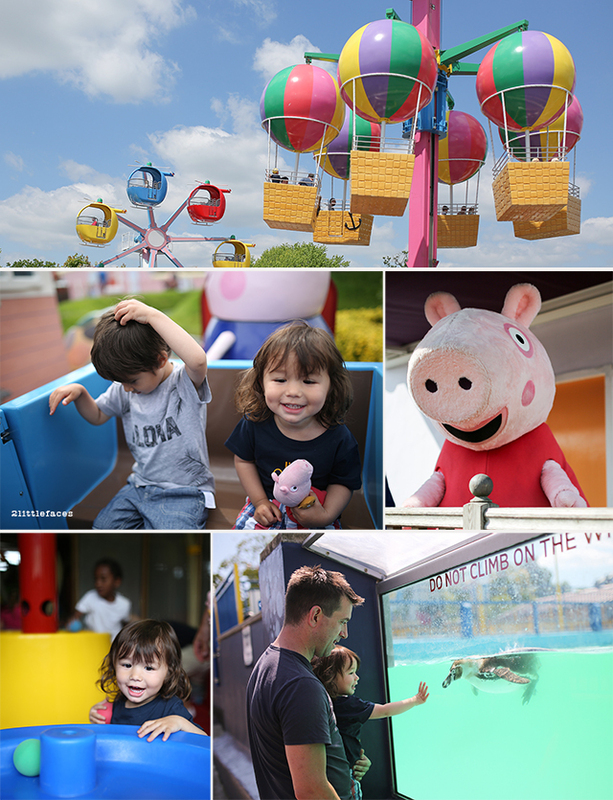 For Seb's Birthday, we took him to Peppa Pig World! He loved it. Definitely no fear of the rides. He wanted to go on all of them ... over and over again. Harvey was hesitant at first but eventually got into the spirit of things. We went on Miss Rabbit's Helicopter ride, Daddy Pig's Car ride, Grandad Dog's boat ride, Grandad Pig's Miniature Train ride. A random Viking boat ride (outside Peppa Pig World). Played in George's Rocket Soft Play area, saw some penguins and even met Peppa and George! Phew. We went on a Friday hoping to avoid the crowd and it wasn't too busy, but queuing time was still an average of about 30min. We also went late in the day so didn't have much time to do all the things, but it was enough. It was so hot and the boys did not appreciate the fact that we had to wait in line for our turn. If you and your family are early risers, there are certain times of the year where you can book a VIP pass. 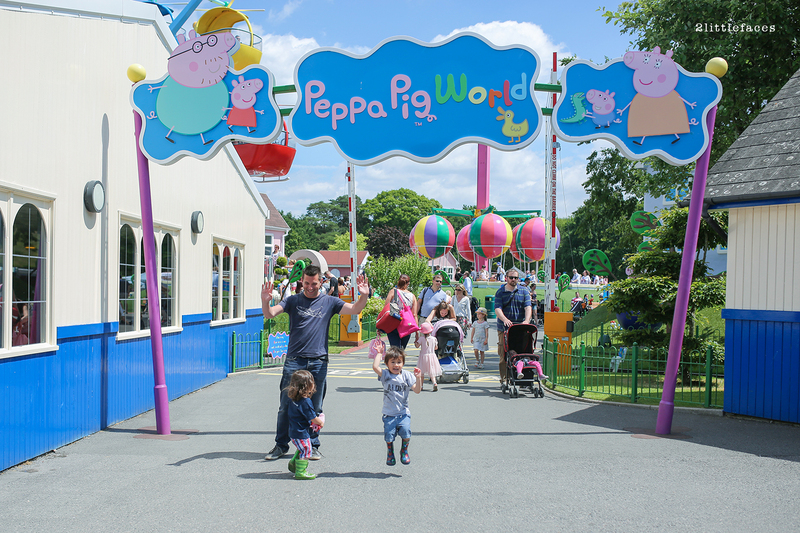 Where you get to meet Peppa and George and go on a few rides before it actually opens. But you have to be there for 8.45am! This was actually unrealistic for us as we are so disorganised plus it was about an hour and a half drive. Smart people would have stayed the night somewhere closer. 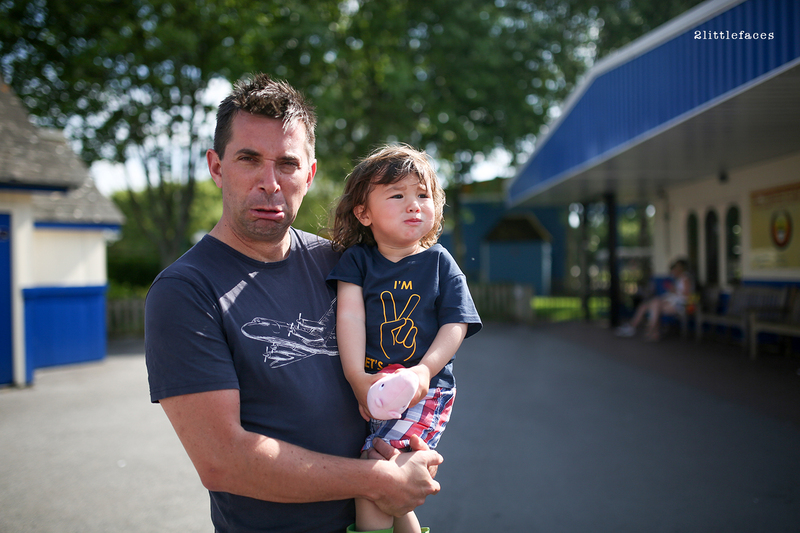 Oddly enough they had Penguins at Peppa Pig World! Some were very friendly and swam up to the window to see us. The boys loved it. If we had more time I would have like to explore the rest of Paulton's park as they have a tropical bird section and I am sure Seb would have loved to go on a few more rides. We had tears, we had laughter and we had excitement. I am not sure if maybe it was too much excitement. But at the end of the day we had a great time! So much so some of us did not want to leave!